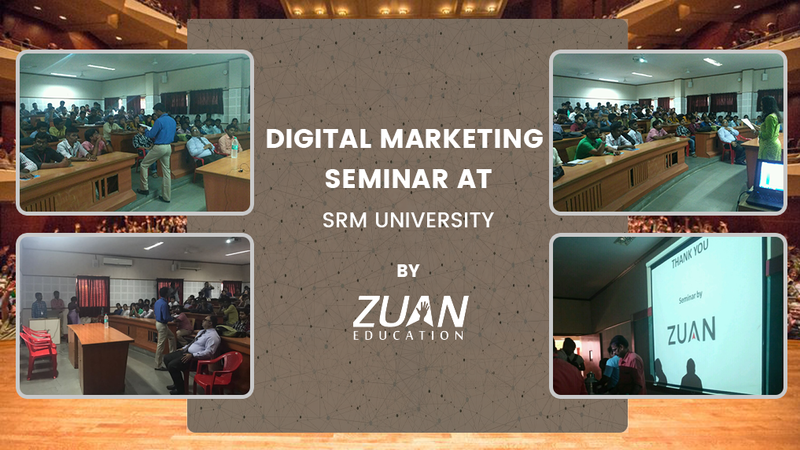 We’re glad that we got an opportunity to offer a Seminar for the students of MBA at the SRM University, Chennai! It was a pleasure to interact with the future Entrepreneurs & share insights on ‘Creating Digital Marketing Strategies for Business’. There were about 90+ young talents who attended the program and we are sure they enjoyed the session. Our special thanks to the Faculty of Management, SRM University for the excellent arrangements. It’s time to up your skills & #GoDigital!